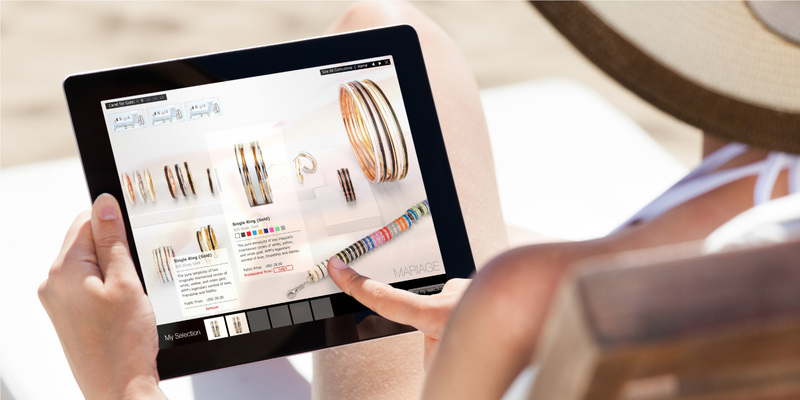 Keeping jewelry design sophisticated and contemporary for fashion-forward consumers has been the essence of APM Monaco. Originally a B2B brand, APM Monaco partnered with Base Creative to redirect its brand strategy from a B2B brand to a B2C retail brand unified around a defined visual identity. 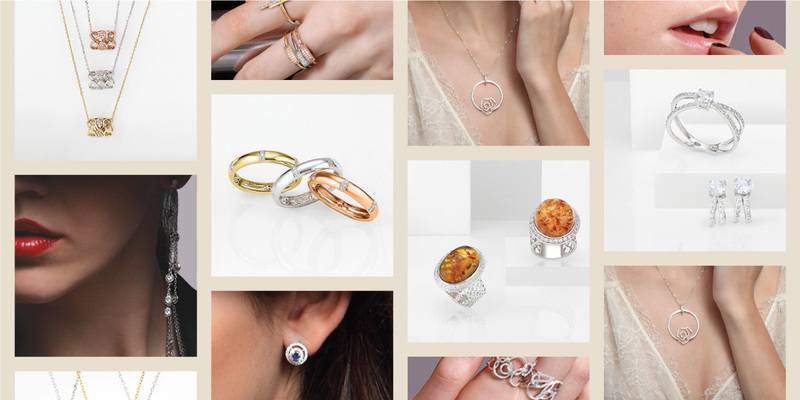 Now, the brand has almost 200 stores worldwide, the premium fast fashion jewelry brand bringing their signature South of France chic designs to markets around the world. Breaking into the B2C market would require a new level of visibility and visual identity, covering all aspects of communication. Base Creative worked to frame a visual narrative based on a distinct brand strategy South of France, presenting a united front through model and product photography, a strong new eCommerce online platform and marketing communications. 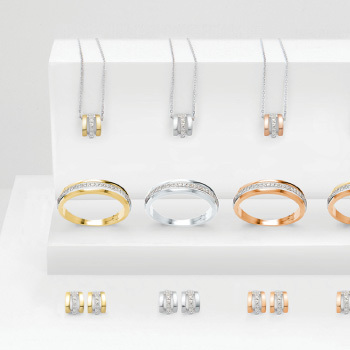 There is a lifestyle behind APM Monaco’s contemporary jewelry, one that is a timeless household name and for the wearers of today. Through tastefully composed photographs, APM Monaco jewelry was highlighted as edgy and bold. 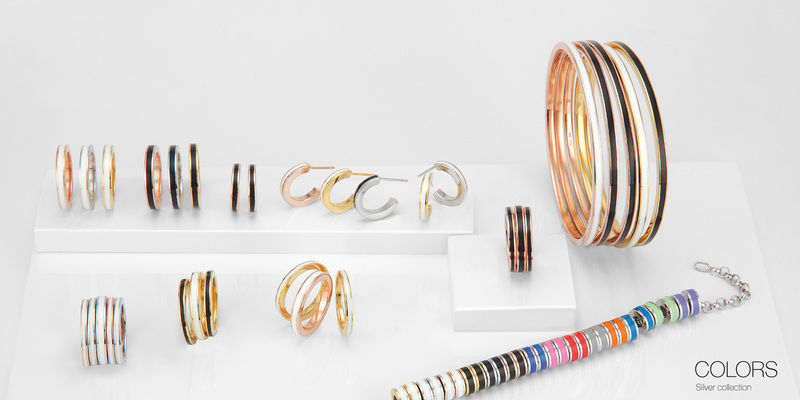 The jewelry was both complementary and defining, giving a story, direction and way of life to a simple look. 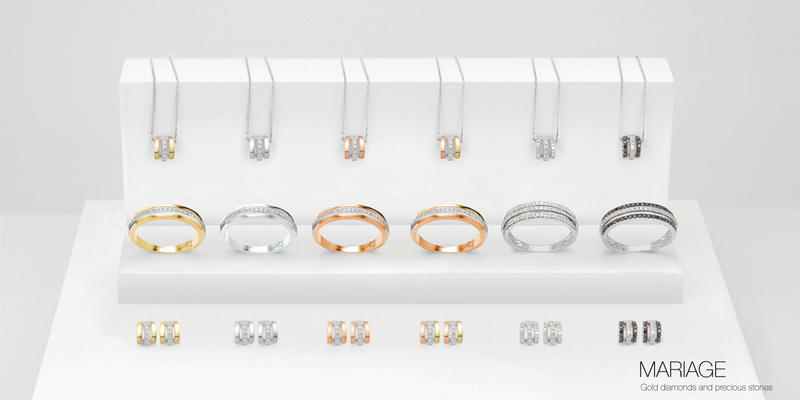 The full range of jewelry by APM Monaco was displayed through product photography, exhibiting style and color variations of specific collections in a simple and easy to view way. Whether gold, silver or rose gold, the brilliance of APM Monaco’s premium jewelry is not lost even if only seen through a screen. 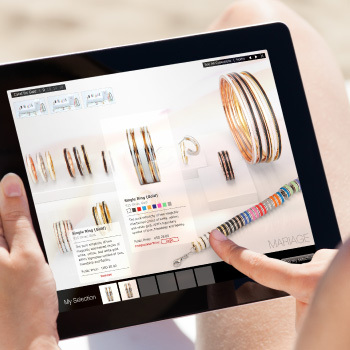 Taking a glance through the customer’s point of view through detailed UX and UI design, customer personas and customer journeys, we enhanced user experience through a fully integrated online environment. We simplified functions to give customers choice – pinpointing the need for a highly personalized and easy-to-use browsing system – reduce the sales funnel and increasing the conversion rate. 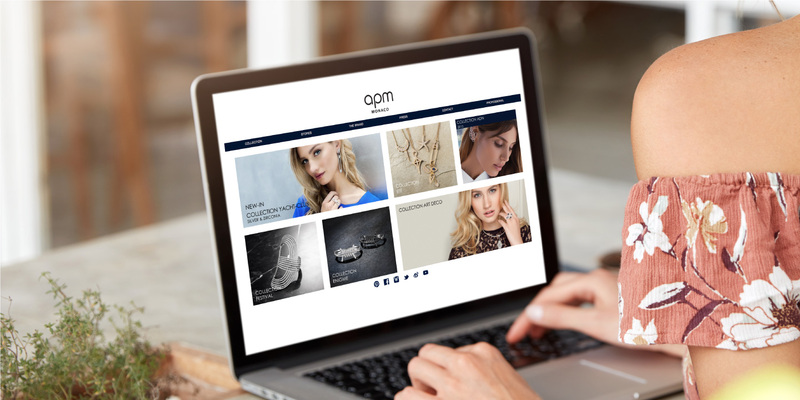 With just as many options as a brick-and-mortar store, the new eCommerce platform gives customers the same brand experience with the comfort of being in your own home and on any device. Inspired by bold new brand positioning, APM Monaco marketing materials emphasized a new stage in the iconic brands legacy. With chic, contemporary and cosmopolitan jewelry pieces in mind, a new art direction lay the foundation for a new take on a classic brand. Through dramatic and subtle colors and themes, we created images drawn straight from APM Monaco’s desired brand image. Combining femininity and sophistication, products were showcased as masterpieces on the curves and contours of the female body. Clarity and simplicity of images ensured that attention was focused on how jewelry compliments the beauty of a woman. 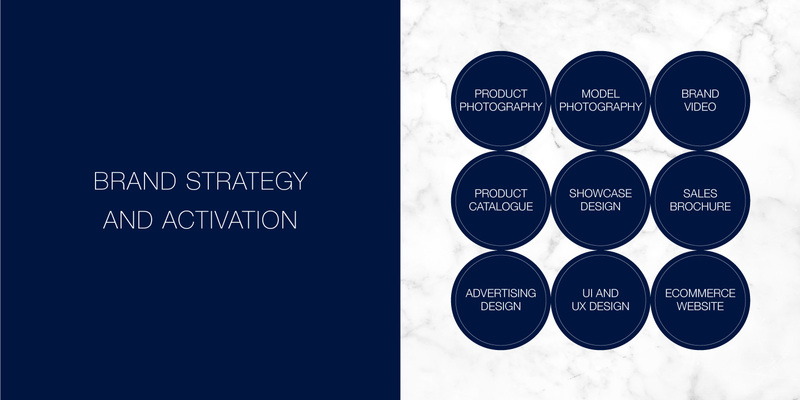 The direction was implemented through brand videos, product catalogs, showcase designs, sales brochures, advertising design and the APM Monaco’s updated website – ensuring the uniformity and recognition of an already strong brand.